There are lots of car of the year awards out there, but how do you determine which one is best. Could it bet the work of Consumer Reports whose sleuthing turns in some of the best work in the business? Could it be the gold-standard of awards, the MT Car of the Year Award? Or could it the Good Housekeeping award which combines the work of the Good Housekeeping Institute Lab with the expertise of Car and Driver? With all of the new-vehicle awards out there, it is tough to know which ones are the best and which are second-tier. In other words, when you see them, which ones do you trust? In my opinion, the gold standard for any automotive award is those given by Consumer Reports. They not only provide unbiased views on the many vehicles they list, but they also provide historical information on a phalanx of cars based on info supplied by owners. Another one of the gold standards is the Motor Trend Awards (Car of the Year, Truck of the Year and so on). They rely on the exhaustive work of the editors of the auto publication. Then there’s the Good Housekeeping Best New Car Award. Good Housekeeping has been the platinum standard of consumer product testing for nearly a century, and when you team the automotive experts of Car and Driver with the engineering and test staff at Good Housekeeping Institute (GHI), it is a combination that is hard to beat. 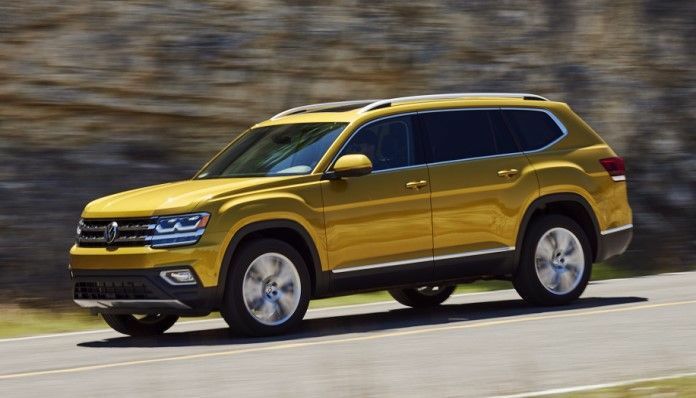 And, for 2018, they have named the new Volkswagen Atlas, which on sale just last summer, as the 2018 Good Housekeeping Best New Car. The test team based its choice on value, safety, reliability, smoothness, handling, interior design, comfort and onboard technology. The team put the vehicles considered for this award through more than 3,000 miles of evaluation on test tracks and open roads. Introduced last spring, the Atlas is VW’s first three-row crossover. VW designed it specifically for the U.S. family; the 2018 Atlas is available with two engine options, a 2.0-liter turbocharged four-cylinder, and 3.6-liter V-6, in five trim levels S, SE, SE with Technology, SEL, and SEL Premium. Atlas also offers 4Motion® all-wheel-drive on a variety of trims and is assembled in the automaker’s state-of-the-art plant in Chattanooga, Tenn. Prices start at $30,750. If you have any comments or thoughts about new-car awards or the new VW Atlas, in general, please leave a comment below.